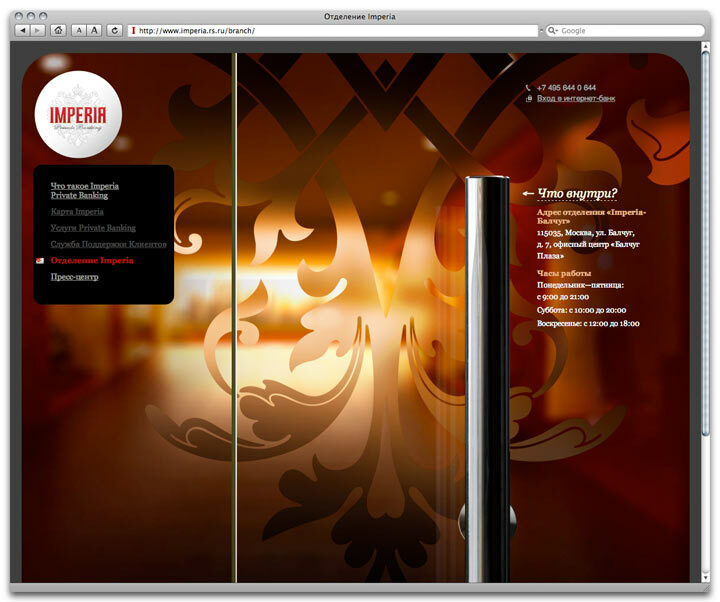 Content provided and updated by Russian Standard staff. 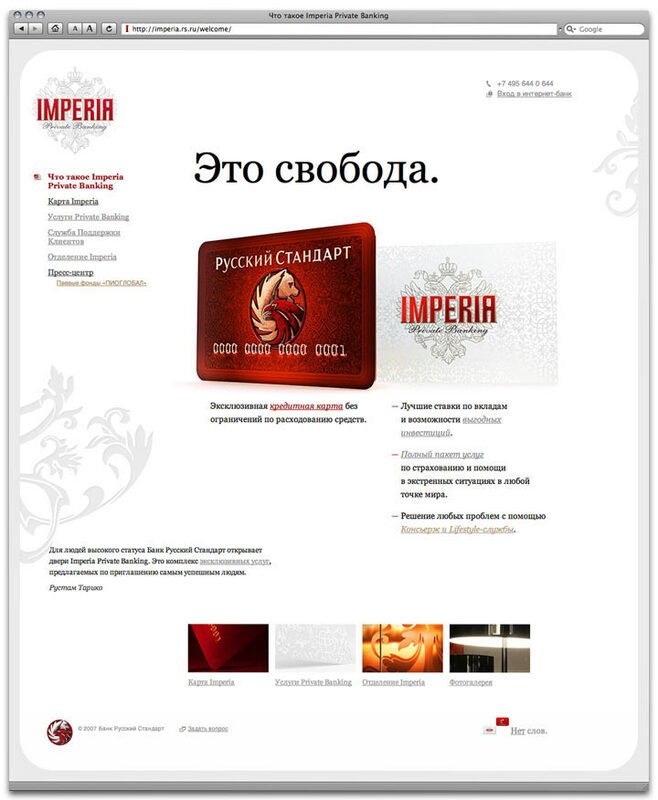 Russian Standard Bank issued new Imperia credit card. 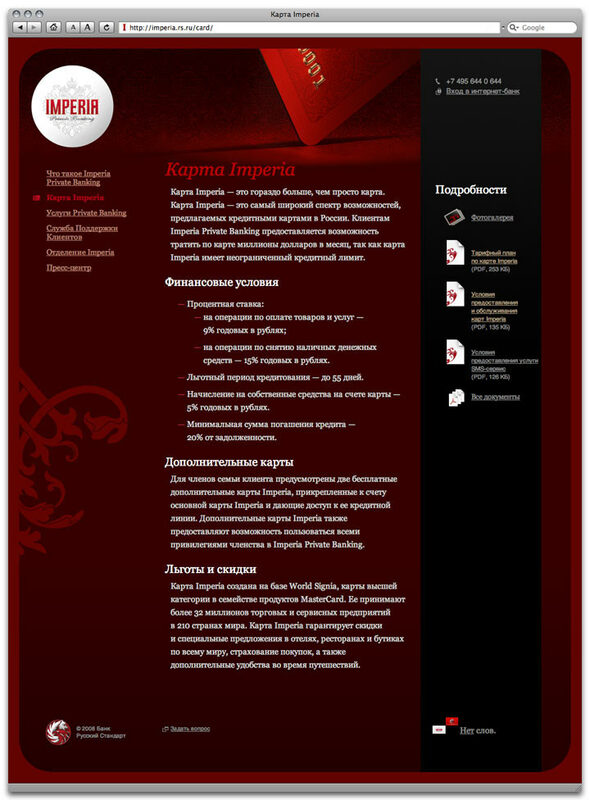 It is available for private clients along with Imperia Private Banking services. Russian Standard Bank sets no withdrawal limits. 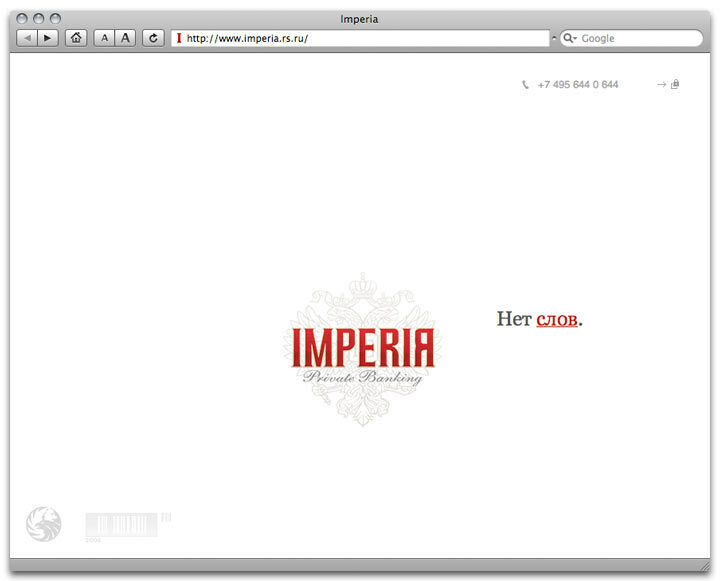 The website provides general information on the services offered to Imperia card holders.